I’m enjoying the hungry little caterpillar scenario being played out on the swan plants (milkweed) in a pot at the end of my deck. The fattest wee beastie set off for a nearby fence today, to start the next phase of its existence. 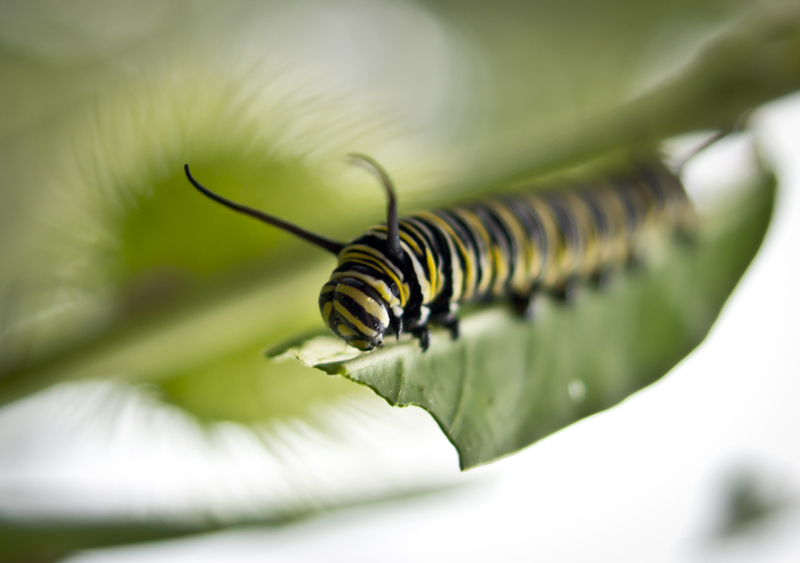 They eat weed plants as caterpillars, and as adults, monarch butterflies (formally, Danaus plexippus) have no particular impact on anything human, except as objects of interest and beauty. Ideal royalty. 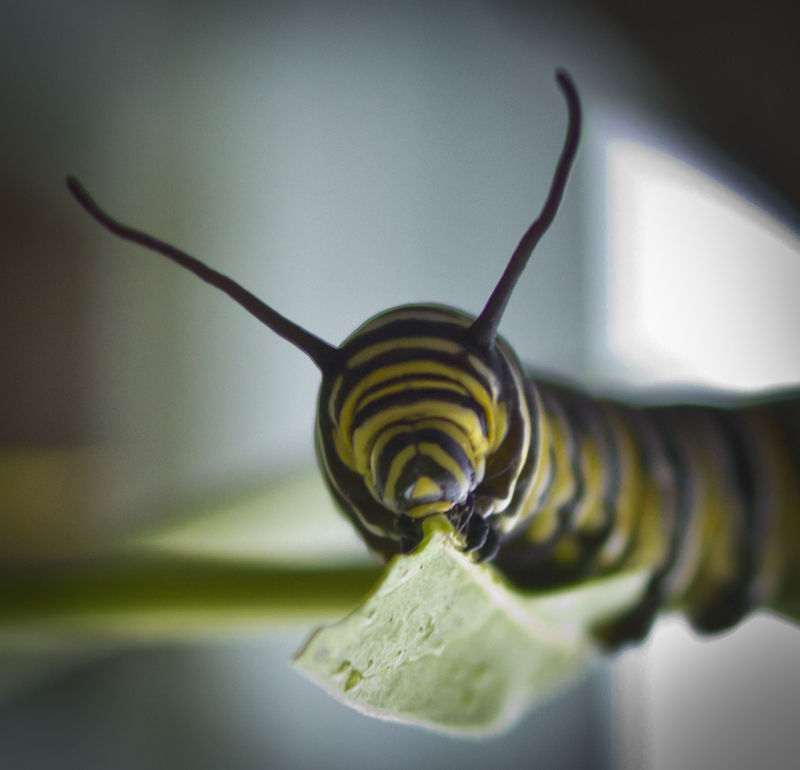 This entry was posted in macro, photography and tagged butterfly, caterpillar, Danaus plexippus, monarch. Bookmark the permalink.